How to use the Office Move Wizard to move a client and their floor/switch ports within Connect. When a residential client wants to move offices within a building, use the Move Offices Wizard to vacate old and select new offices. Find this in Clients page under the More tab. Office move will ensure that all services that you are currently receiving will continue to be provisioned in the new office. To remove an office that you no longer require or increase the number of rooms you are using please use Add/Remove office rooms. If the move is taking place over several days, you can move rooms manually. Moving Date: Select the date you want the move to take place. This can be today’s date. Current Offices: Offices that you are currently usig will appear in this box. The adjacent box (Select to vacate) will display offices that you have selected for vacation. Available Offices: This will show offices that are available.. The list of selected rooms shows the offices that you have selected. It is a mandatory field so must be filled. 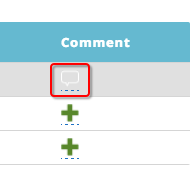 Once you have selected the required rooms, click Next. 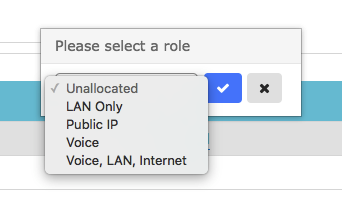 If this client will be receiving internet or voice services, a pop-up will appear asking you whether you would like to provision their floor ports automatically. Click Skip. This will finish the client creation process, but will not provision any floor ports. You will need to go to Switches page to provision the ports. You must then start the office move process again in the Clients section. Please be aware that any changes you make on this screen will cause loss of service for any customer that is genuinely using that switch port. From the drop-down at the top right, select the port role that you want these ports to be. (To see a description of these roles, see the Roles section below). This is where you can add notes to ports to give extra information about what is plugged into them, for example “Printer”, “Conference Phone”, “Fax Machine". You can now click the Finish button to be taken to the success screen. Switch ports in the office from which the client has moved will not be automatically unassigned. After completing the Move Offices Wizard, go to the Floor Ports page and change the status of the unused ports to Unpatched. To allow users to move between offices over several days, you can associate the new room with the client using the Add/Remove Rooms page. First, make sure the patching list is up to date. The room move can take place, and the switch port can be physically added to the floor port in the new room, and associated with the new port on the Floor Port page. Users will need to log out of existing handsets, and log back into the new handsets in the new room. Once the new room is associated with the client, switch ports will need to be configured. You can deactivate switch ports in the previous room, and activate switch ports in the new room. This can be done in the Switches page Alternatively, if you want all switch ports in the previous room to remain active, more services will need to be assigned to the client. Services can be added in the Services Manager. For users moving between offices in different sites, contact the essensys team.